Is there a more unpleasant property disaster than a sewage backup? A more destructive disaster…sure. But more unpleasant? If there is, hopefully you never find out. If you’re currently dealing with a sewage backup or toilet overflow, you’ve got enough problems. Fortunately, 911 Restoration of Denver has just as many solutions. Our IICRC certified sewage water cleanup technicians are trained to handle literally every damage that could arise from a sewage backup. They manage more than sewage extraction. Rotted out floorboards, contaminated carpet, mold inspection and removal…you name it, they’ve done it. And they’ll do it again for you. The sewage restoration staff at 911 Restoration are available whenever your sewage water backup occurs. 24 hours a day, 7 days a week, 365 days a year, you can call 911 Restoration of Denver and hear a real voice on the line. Sewage cleanup experts guarantee a 45-minute arrival time, meaning you could call right now and have specialists at your door within the hour. At every job, they conduct a free visual inspection for property owners, so you can get a sense of the damages and necessary services right away. They also do everything they can to make the process easy on your wallet, from working quickly to minimize damages to offering a free insurance consultation. 911 Restoration works with all providers, and a friendly staff member will be happy to help you make sense of your coverage and file a claim. As painfully unpleasant as your current circumstances might be, expert sewage cleanup technicians view this incident as an opportunity to make your property better than new. Call today and let 911 Restoration of Denver turn your sewage backup into a Fresh Start. Like any type of water damage, a sewage back up poses greater and greater risks to your property the longer black water remains in the area. Sewage and toilet water can seep into your floorboards, damage your walls, and contaminate carpets. Even concrete absorbs water like a sponge, and the more black water seeps in, the more involved the drying process will be. 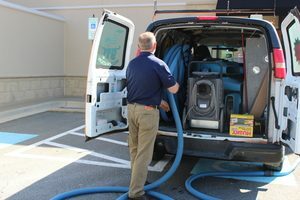 You can’t afford to waste any time in calling a certified water cleanup company. Our cleanup technicians won’t waste any time, either. They come running the moment you call, and once they arrive, they work fast to pack out and protect undamaged belongings, extract the sewage, and sanitize the area. 911 Restoration is a full service sewage cleanup company. Sewage water damage isn’t limited to the mere presence of sewage, so our techs are trained to do far more than simple water extraction and drying. They ensure the structures of your home or business have been fully dehumidified so there is no further rotting or mold growth. They also test and inspect for structural damage. Any problem they find, they fix. It doesn’t matter if it’s ruined hardwood or carpet that can’t be salvaged. They’ll tear out the damage and replace the material. 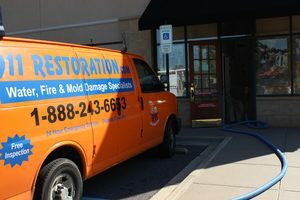 When you call 911 Restoration for sewage cleanup, you’re calling for total property restoration. The expert staff doesn’t just get rid of your problem. They leave your home or business feeling even cleaner and newer than it did before. 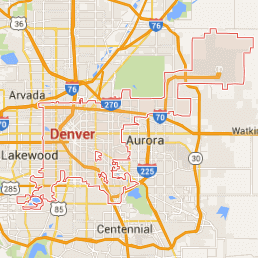 If you have a sewage backup in Denver, Aurora, Lakewood, or the surrounding area, call today for emergency service. 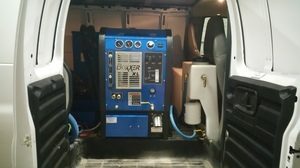 When you seek out a water cleanup company to handle your sewage backup, it is absolutely imperative that you find an IICRC certified company like 911 Restoration. Sewage water damage is about far more than property loss. A sewage backup can pose significant risks to your health, in more ways than one. IICRC certified sewage cleanup specialists know how to handle a sewage water backup safely. Black water typically contains a variety of microorganisms, some of which include bacteria, parasites, and viruses. These microbes can bring illness into your home or business, putting both humans and pets at risk. A properly certified sewage water cleanup company knows how to remove contaminated sewage without spreading bacteria. They also have the right tools and skills to fully sanitize your property. Another harmful side of effect of sewage water damage is mold. Growth frequently develops in the aftermath of any kind of water damage. A full-service sewage cleanup company like 911 Restoration includes mold inspection and remediation as part of a comprehensive package. They also have the training to safely remove even toxic growth such as black mold. There are seemingly endless ways a sewage backup can cause notable damages to your property and quality of life. But the sewage cleanup experts at 911 Restoration know that today’s incident doesn’t have to mean your property’s glory days are behind it. Call 911 Restoration of Denver today, and let our expert staff make your property brand new again.